Lydia Green never had reason to worry much before. 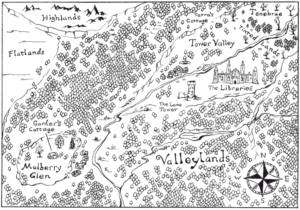 She lived in a timeless Glen on the edge of the Valleylands with her mismatched family of fairies, philosophers, and two troublemakers known as the Zs. But now, at age eleven, her world is turned upside down when rumors reach Mulberry Glen about a mysterious Darkness that dwells in the forest Tenebrae. Lydia knows it is nothing to be trifled with, but, fiery and headstrong, the Zs have other ideas. A foolish choice puts their lives in danger, and although she is no hero, Lydia realizes that family is something she is willing to fight for. But among the shifting library shelves and lonely stone towers of her quest, Lydia is chased with more questions than answers. The Darkness of the forest lurks within her own mind, and how can you fight something which is all in your head? 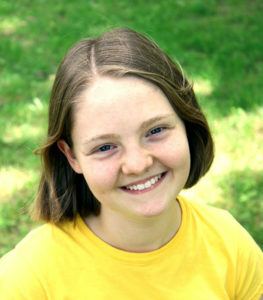 In her second novel, Millie Florence weaves a tapestry of passion, heart, and magic. 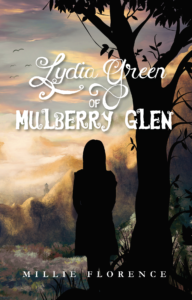 Lydia Green of Mulberry Glen is a pure, hopeful fantasy for both parents and children alike. Pick up your copy today to experience this fervent and uplifting tale. Want to read the first chapter for free? Just sign up for my email list and I’ll send it your way!